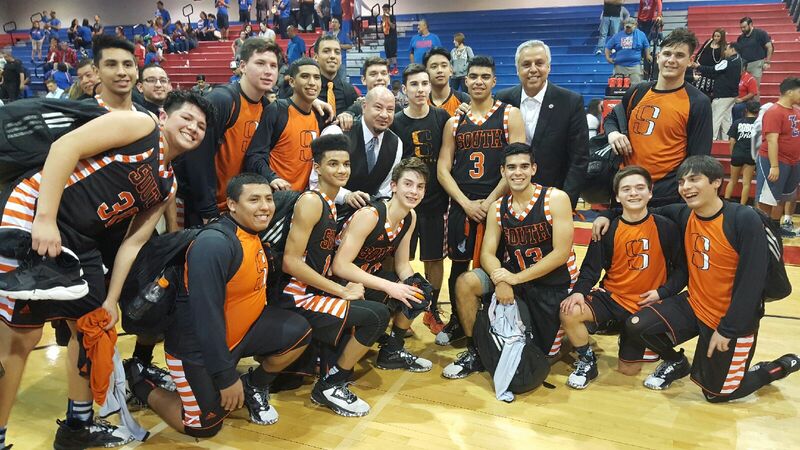 On Tuesday, Feb. 21, the Harlingen High School South Boys Basketball team earned the Bi-District 32-6A Championship title after an outstanding win over Edinburg High School. The game ended with a score of 42-41. Next up for the Hawks will be the Area round where they will face the McAllen Bulldogs on Friday, Feb. 24 at 7:30 p.m. in the Harlingen South Gymnasium.